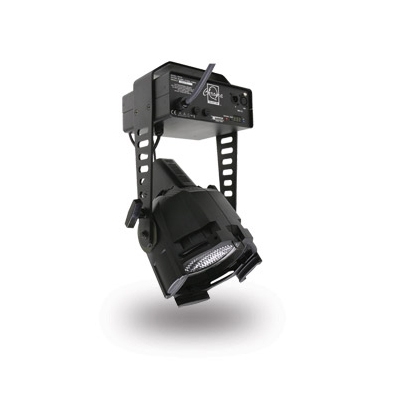 Designed primarily for tradeshow use, the Chroma-Q® Daylight PAR™ features a 575W 6000°K hot restrike lamp with high colour rendition which brings out the colour of the objects it lights. The unit is based around the rugged and familiar ETC Source 4 PAR and is supplied with colour frame and a set of 4 lenses (VNSP, NSP, MFL, WFL). The integrated flicker free DMX controlled PSU enables remote on, off and dim features, making it particularly suitable for filming application and aiding lamp life. A 2200 hour lamp option is also available if required.